Newly Upgraded cable service including free HBO/Cinemax! Pets are permitted only in designated rooms (please specify). $10 per night per pet fee. Each of the 46 air-conditioned guest rooms has a private bath, refrigerator & TV. The majority of our rooms are now non-smoking, however we still have a limited quantity of smoking rooms. 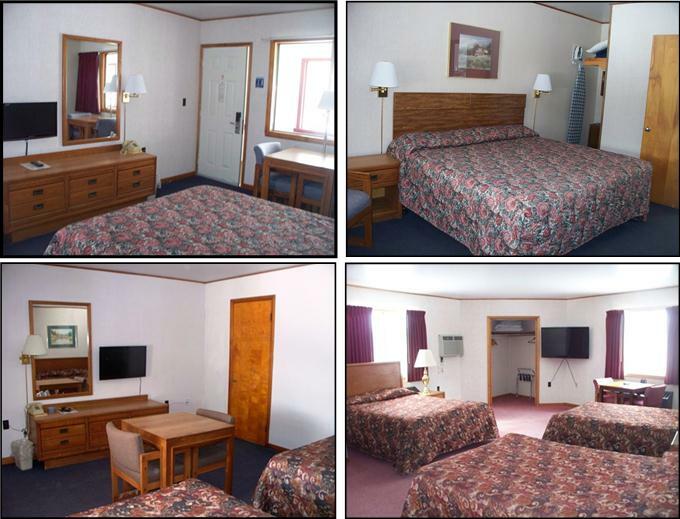 4 Room types available: 1 queen bed * 1 king bed * 2 full size beds * 3 full size beds. Copyright 2012 Alpine Lodge & Sawmill Restaurant. All rights reserved.